Self-contained dual flush toilet systems for residential applications. 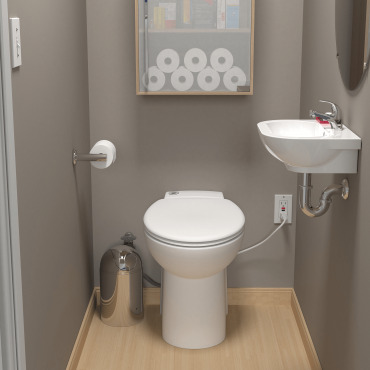 If you want to install a half-bathroom, the easy installation of Saniflo units allows you to complete your dream bathroom in a timely fashion, without breaking concrete or finished floor, eliminating any possible mess. A cost-effective way to install extra bathroom facilities virtually anywhere.